Robert B. Harris Jr., while under the exceptional care of Hospice of Chattanooga, went home to be with his Savior on September 22, 2018. Bob as friends called him was a 22-year member of Abba’s House and an avid admirer of all things John Wayne. 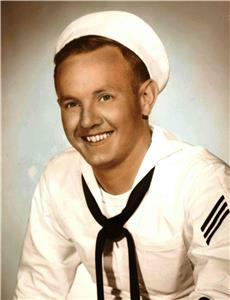 He was a proud 21-year veteran of the United States Navy, an avid reader of the Bible and loved by many. Bob was survived by his sons, Jerry Harris and Barry Harris; daughters, Andi Harrell and Kay Pitzaferro; sisters, Regina Burks, Roxie Burton and Linda Lewis; brother, Ricky Harris; seven grandchildren and three great-grandchildren. He will be laid to rest with honor given to his God and Country at 1:30 p.m. on Thursday, Sept. 27, at the Chattanooga National Cemetery with military honors. Family will receive friends from 11 a.m. to 1 p.m. on Sept. 27, at Hamilton Funeral Home. He will be missed on earth, but is now enjoying his new home in heaven where neither pain nor sorrow exists.